Melodee dedicated her life to bringing joy and education to all the little children in her pre-school classes. At home, she worked hard raising her son as a single mother. Then, in 2013 everything changed when she was diagnosed with breast cancer. In the years since her diagnosis, Melodee’s life has turned upside down as she explained in her grant application. Once, she held a stable job and was able to stay on top of her finances. Now, she struggles to get by on disability payments and supplements that meager earning by working part time as a Lyft driver. Saving is made even more difficult, because Melodee travels between Arizona and San Diego to receive her treatment. When Melodee sent us her grant application, she had been fighting breast cancer for over five years. Now in Stage IV of the disease, she is currently receiving life-prolonging medications as she continues to care for your 14-year-old son. We were glad to provide Melodee with a grant that assisted with her rent costs. By taking away the stress of paying the rent in the short-term, we hope she can spend more time with her son and focusing on her treatment. 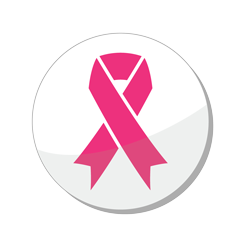 Shades of Pink Foundation California is a tax-exempt 501(c)(3) California nonprofit Corporation. © 2014-2016 Shades of Pink Foundation California. All rights reserved.